The Reventador volcano (3562m) is a rarely documented andesitic stratovolcano located in a horseshoe-shaped caldera in the Amazonian highlands of Ecuador. Its massive explosive eruption of 2002 which was accompanied by pyroclastic flows threatened nearby oil pipelines. Presently, Reventador is again in an explosive phase, with powerful strombolian eruptions occurring from vents in the summit crater. This activity was documented from various viewpoints during day and night in early Dec. 2017. 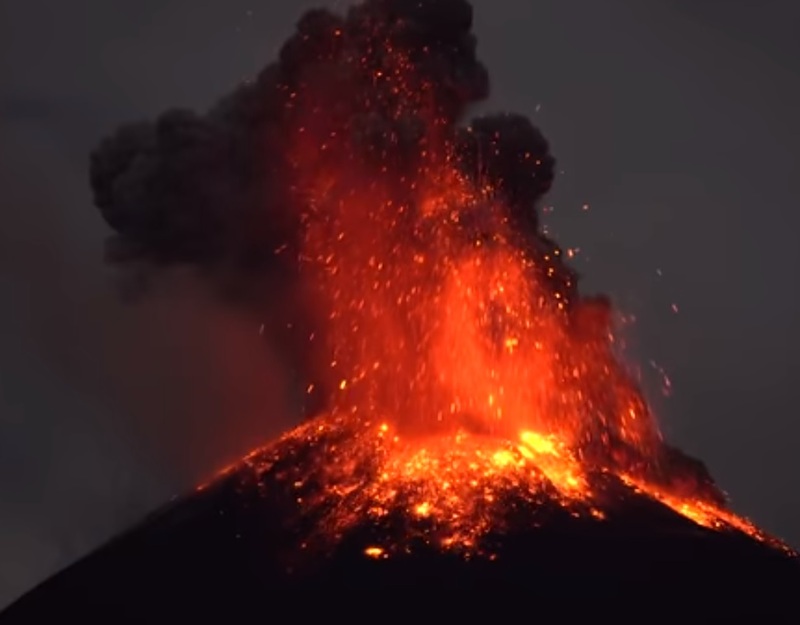 Ejection of copious lava bombs, ash clouds, small pyroclastic flows around the summit and volcanic lightning were all documented. According to John Search, Reventador volcano is located 90 km west of Quito. It is a regularly active volcano in western Amazon. The volcano has produced frequent explosive eruptions and lava flows.